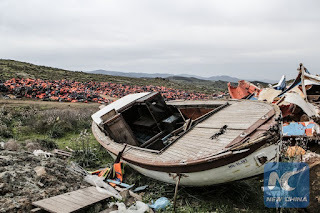 New China 3 April 2016: The huge "mountains" of life jackets and dinghies left behind by thousands of refugees on the beaches of the Greek island of Lesvos over the past year bring hope and possible job opportunities for recession-hit locals as authorities have launched a recycling program this spring to protect the environment and generate revenues. The municipality of Lesvos in cooperation with volunteer architects and environmentalists has started a pilot project to turn refugee waste into items of immediate use for the refugees and migrants such as bags, raincoats, mattresses and shelters, local officials told Xinhua in recent telephone interviews. With the support of the Greek Ministry of Environment, Lesvos hopes to become an example for other islands that are affected by the refugee crisis. Lesvos has been at the front line of the crisis during the past year. 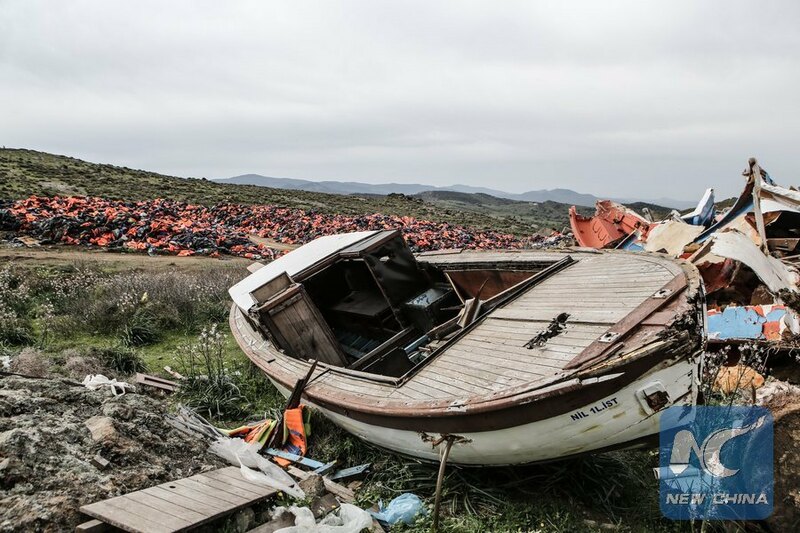 Almost half of the one million arriving in Greece since early 2015 were registered on the island. Up to 700,000 life vests and 10,000 inflatable dinghies were left on the beaches since...read on.